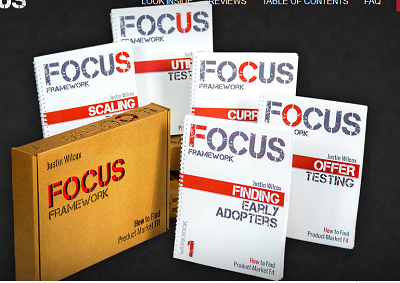 FOCUS Framework is by far most practical and hands-on guide on lean methodology that I was able to find. No buzzwords, no theory – but a set of practical, real-word tasks and guidelines that can be put to use within a startup today. As an investor I am in the position to work with many entrepreneurs in various stages of their ventures. And they all share one common problem: while lean startup principles are fairly easy to grasp and accept in theory, it is often very hard to put them in practice. They understand that they need to have an MVP, that they need to talk to customers, run experiments, get scientific, “do things that don’t scale” – but HOW exactly to do that in context of their own startups is rarely clear. And this is where I have found this framework to be extremely useful: it provides a clear path to putting lean methodology to practice. I was using this framework with few startups in our portfolio. It was much easier for me to push them forward to experimenting by using this very concrete and practical playbook than all the books, workshops and blogs on lean theory. When I heard of FOCUS for the first time I was a bit skeptical as I was not sure that it is possible to create a one-size-fits-all workbook for startups. And FOCUS sounded to me exactly like that. Luckily, it isn’t: instead through a series of exercises and tasks Justin lays out one of the most universal principles in solving problems: first you brainstorm on your idea and hypothesis, then you test it in real world, collect data in a systematic way from the real people/customers and decide how to move on based on facts, not on beliefs. Almost all of the exercises in this workbook follow this pattern, in different shapes and forms. And the thing that was most useful to me and startups that I was working with, was to see HOW to do this in different situations. One co-founder of a startup from our portfolio once asked me – “I know that I have to get out of the building – but where are the doors?” I wish I had FOCUS Framework then.